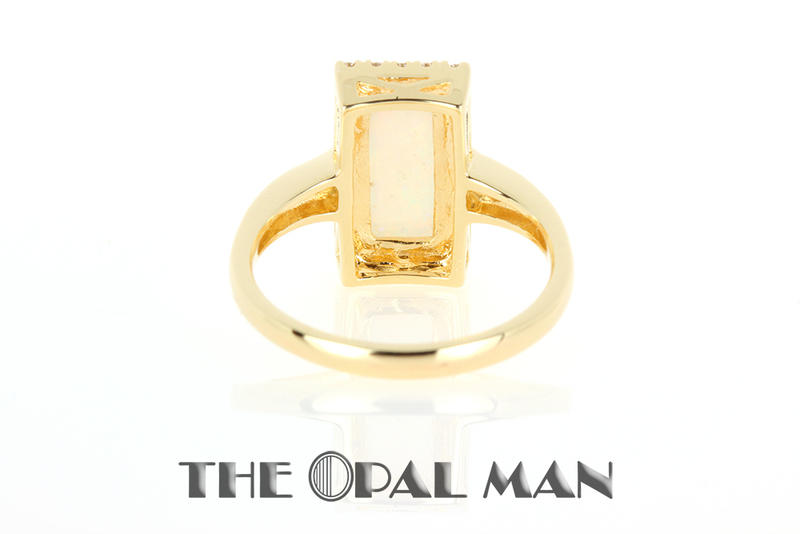 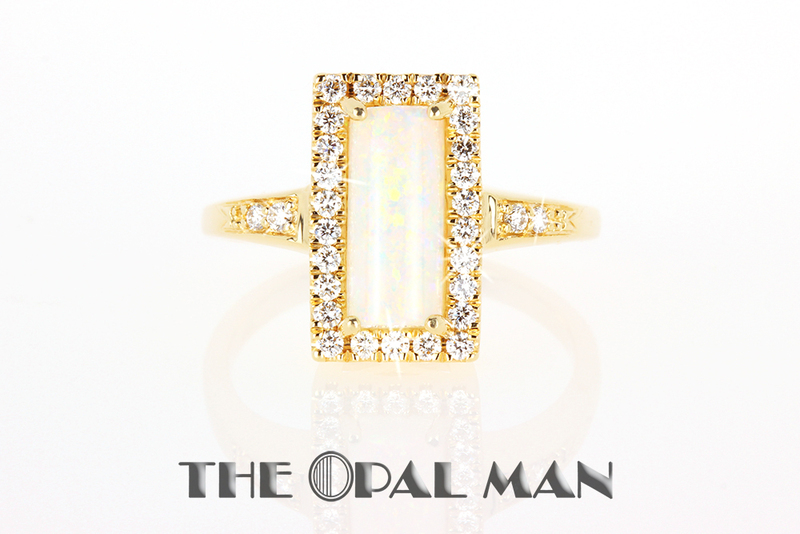 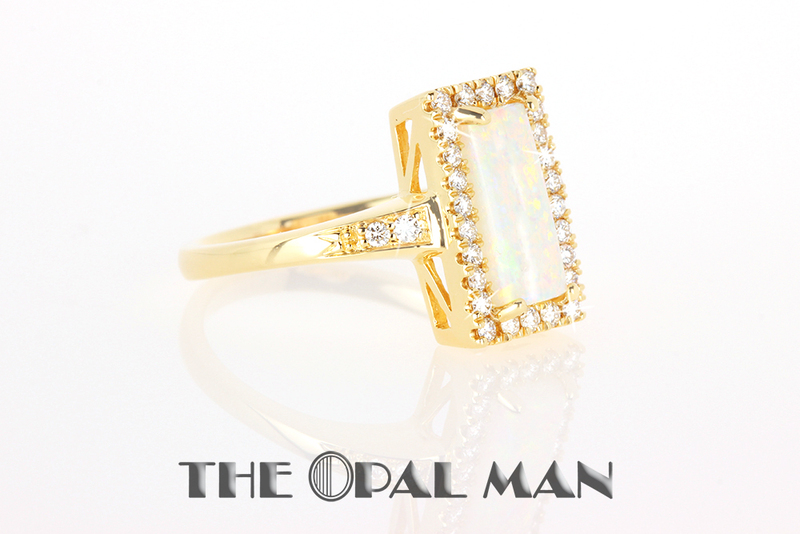 Dazzling 14k yellow gold ring with Australian crystal opal and diamond accents. 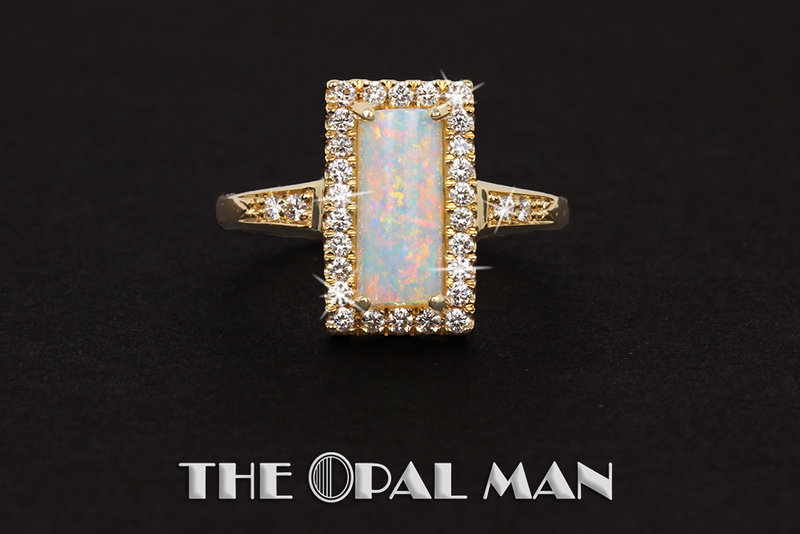 This opal is absolutely gorgeous with red, orange, and green pin-fire. 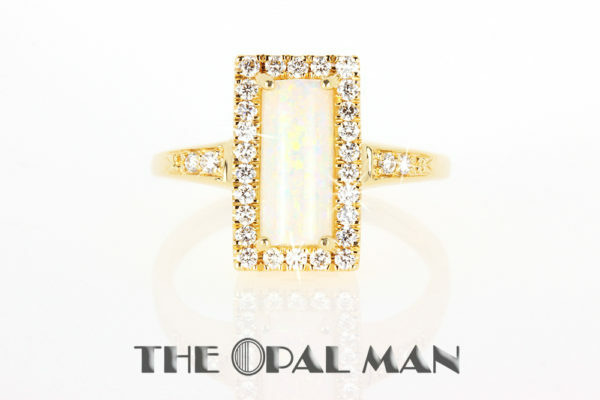 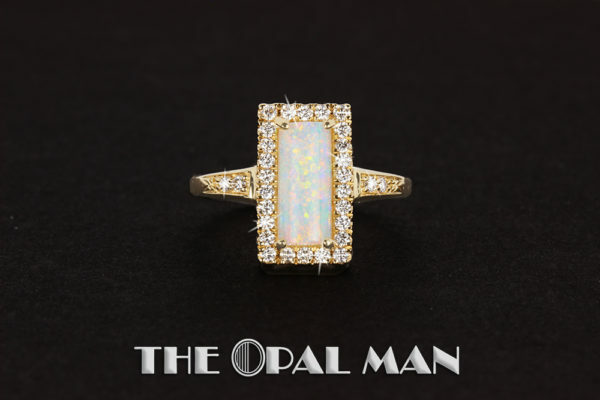 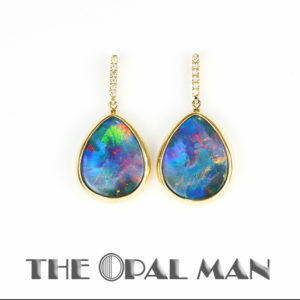 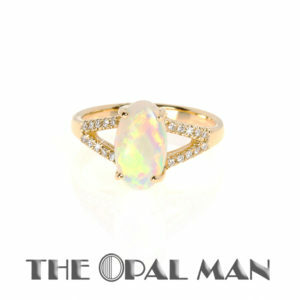 The darker photos show the opal more true to color because, as a crystal opal, the light travels right through the opal, making it harder to see the colors in the lighter photos. 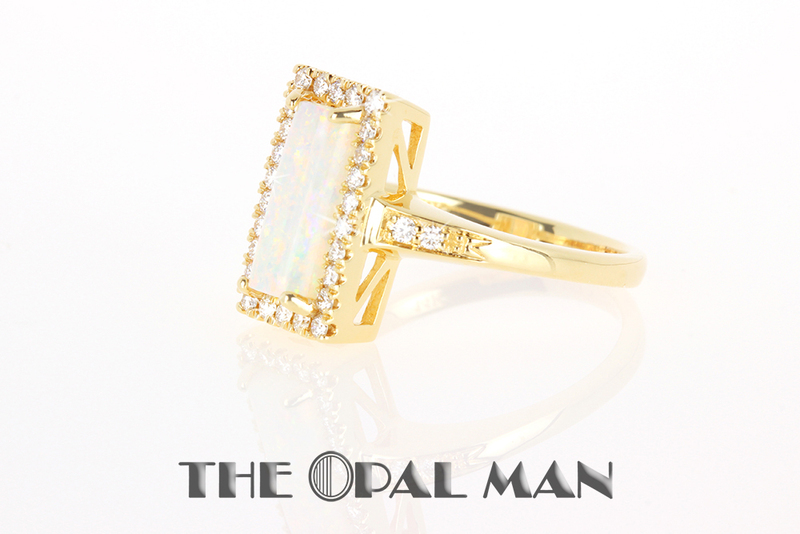 Size: 7.75 Please call if you have any questions about resizing. 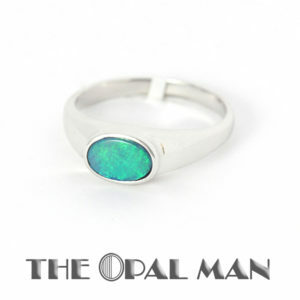 Australian Opal Ring Set in 14K White Gold – Flash!